The importance of tools and equipment in the life of a person varies from situations and uses. Can opener is one such tool which is very commonly used by people for several purposes at their residential and commercial complexes. The opening of bottles or cans serve as very common activity of our day to day working thus can opener hold a very special place in our kitchen appliances kit. However, it is very important for people to ensure the quality of the opener in order to do this can opening work effectively. 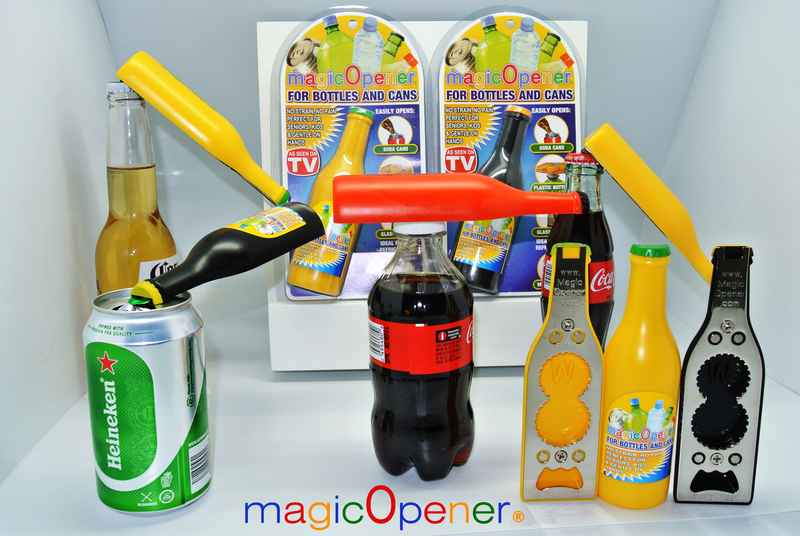 Therefore, to increase the efficiency of your day to day can opening job, we at Magic Opener, offer high quality of can openers that provide an edge to your efficiency when you use them in your daily routine tasks. Everyone needs an effective opener as you need to open various bottles and cans like beer bottle, soda bottle, soft drinks and various other cans, to use them for your specific needs. However, opening the lid of cans or containers can be a time consuming and tedious task for a person and thus can make him feel annoyed and irritated. Therefore, Magic Opener offer their efficient tab can openers, which are dedicated to make your tab opening work a very convenient process. We understand what important does these openers play in saving your precious time when you are in extreme hurry. Therefore with our tab can opener, Magic Opener makes sure that our customers can perform the can opening task with high speed and ease. We aim at saving your quality time which might get wasted in putting unnecessary efforts in opening the lid of cans. Magic Opener offers supreme quality of can openers which can be used at several places like residential kitchen, restaurants, bars, retail shops and many more to perform the can opening task with utmost perfection. We offer an edge over traditional style of openers to provide most stylish and quality of contemporary openers that will add to the aesthetic appeal of your kitchen appliances. Magic Opener offer the best style, design and quality of pop can opener that offer best can pop view when you use them at your parties and occasions. We offer highly efficient pop can openers that offer very secure and quick lid removing facility for the cans irrespective of their sizes. Beside opening cans, you can also use the can opener as a knife sharper or tool holder. So enhance your working efficiency with Magic Opener’s pop can openers and get ready to reduce your physical effort and time wastage in opening cans with traditional methods and tools. 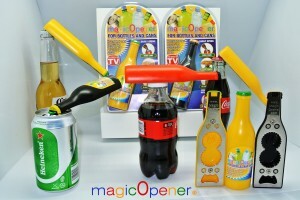 You can find an opener for your specific needs that too on very competitive price range from the Magic Opener store.